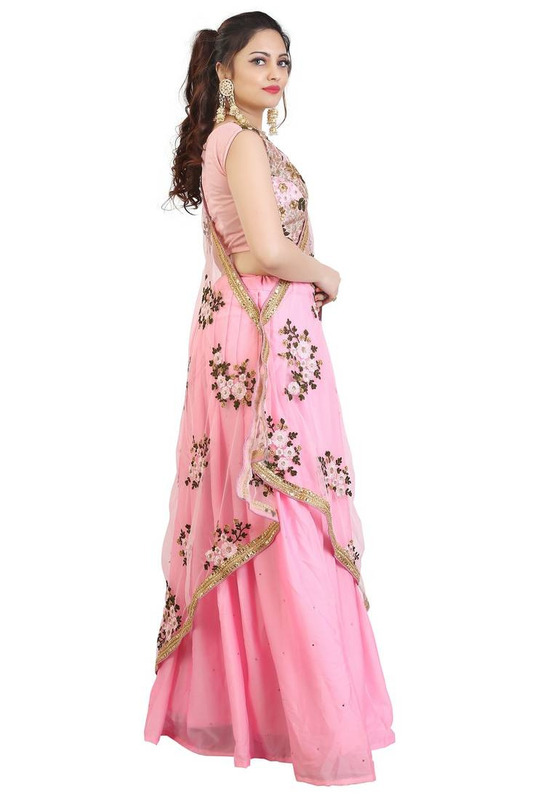 Get stylish online light pink georgette lehenga from Mirraw, in least cost. 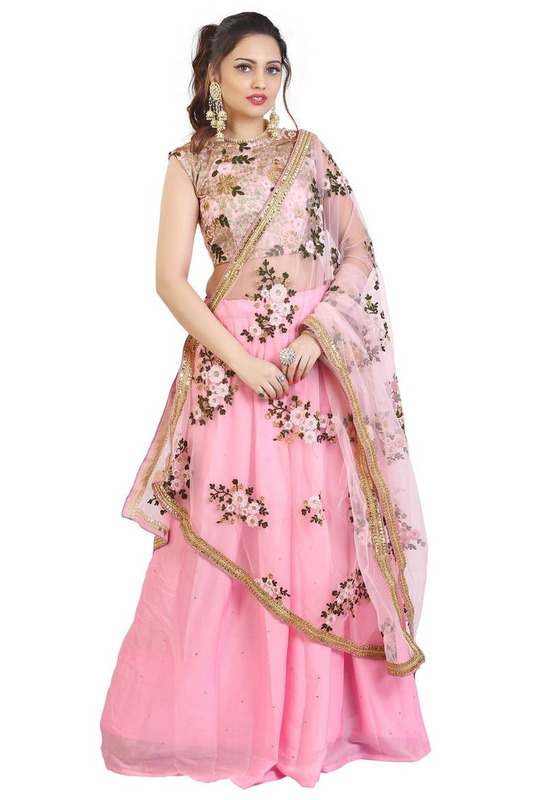 Lehenga Details: Circular lehenga style georgette fabric. Dupatta Details : Net fabric with 2.2 meter in length. Blouse Details: Blouse available as per image with 80 cm in net fabric and embroidery work.